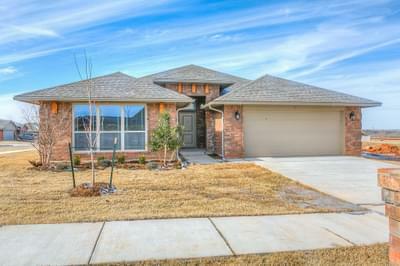 Summerhill Meadows New Homes in Yukon from Home Creations. This quiet, small town community is located only 3 miles away from the excitement and convenience of Northwest Expressway. Summerhill Meadows’ quality, energy efficient homes are available in a variety of floor plans to fit your lifestyle and budget needs. Ceramic tiled bathroom and kitchen floors, 3cm granite kitchen counters, marble bathroom vanities are just a few of the luxurious included options you will find in a Home Creations home. Contact a New Home Consultant to find your perfect home in Summerhill Meadows today!